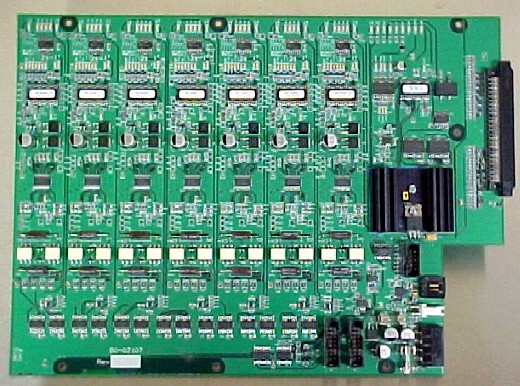 Designed by Theta Engineering, this board provides seven axes of motor drive and control. Each axis is generic and configurable for driving the various motor types in the system. 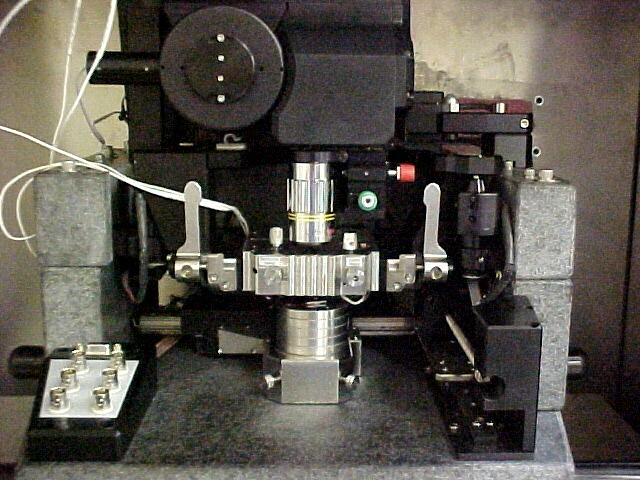 An eighth channel provides lamp control (for optical microscope illumination) and general-purpose I/O. Each axis has its own controller (PIC-STEP from JR Kerr), keeping the high-level PC host out of the critical timing loop. The host software merely issues a command giving the desired destination and the local controller takes care of getting the motor there. A novel feature of this board is that, while it uses conventional PWM drive for efficiency while moving the motors, it switches to clean DC for motor hold current while stationary. PWM tends to generate a lot of electrical hash and noise in the vicinity of the motors. Such noise is prohibitive during AFM scanning so steady DC current is used at such times. This board has over 2,700 components on it! It has dozens of sub-circuits, many of which under normal circumstances would merit a 6-month development effort on their own. But there was no time for that; each circuit had to be designed and laid-out into the giant PCB in time for the first system integration. The design had to be very good right out of the box as there simply wasn't time or manpower for follow-on development of all those circuits! The first board was built and tested. Some cuts and jumpers were required, but the board basically worked. In a short time, we had a functioning AFM -- amazing considering the scope and complexity of the entire system! 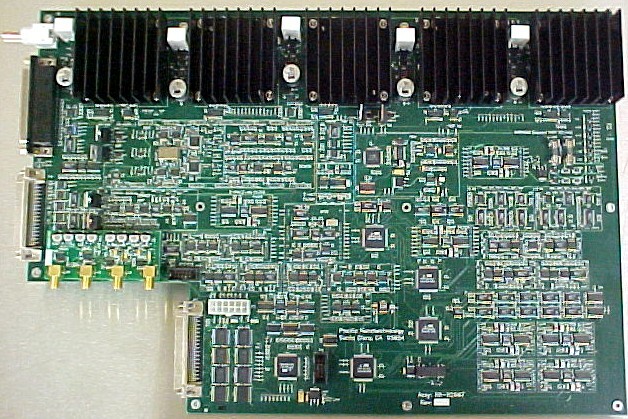 Today, this board is the heart of one of the most sophisticated high-performance AFMs on the market.